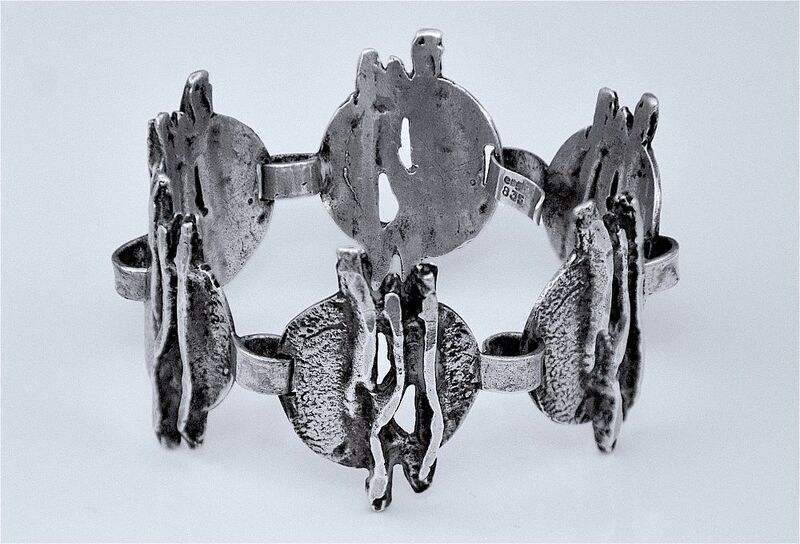 This very unusual but stylish silver bracelet consists of 6 linked abstract design sections. 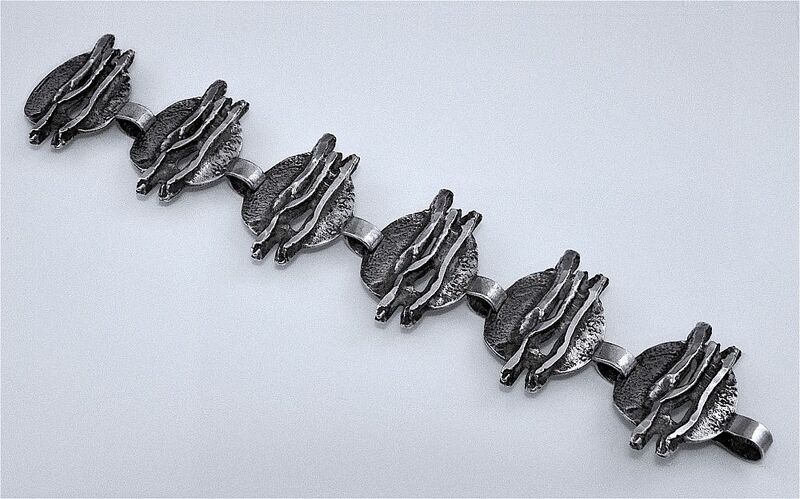 Each round section is decorated with 3 raised wavy vertical batons. The fastener is stamped "Engla 835".